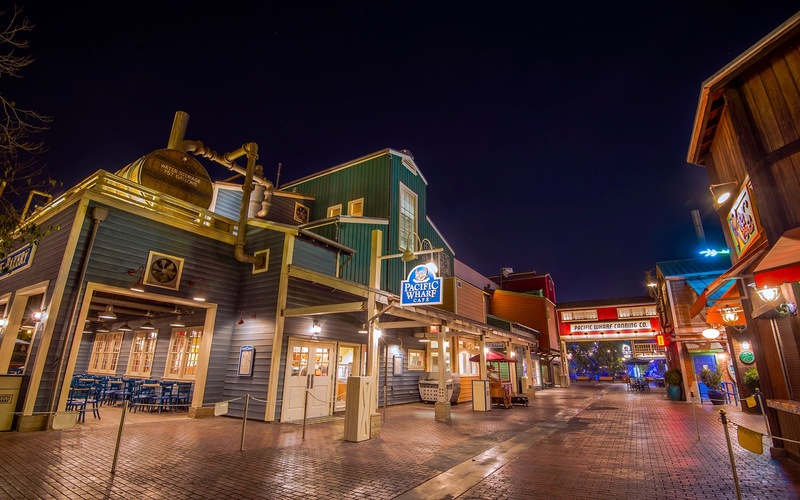 Pacific Wharf is the only land at the Disneyland Resort without a proper ride. Instead, it as a walk-through attraction devoted to food, and many other establishments devoted to food. And yet, it's Bay Area charm still makes for some pretty scenes, and the area seems to glow at night. You just have to find the right angle! Long after nightfall at Pacific Wharf. The streets are empty, and only the buildings stand watch.